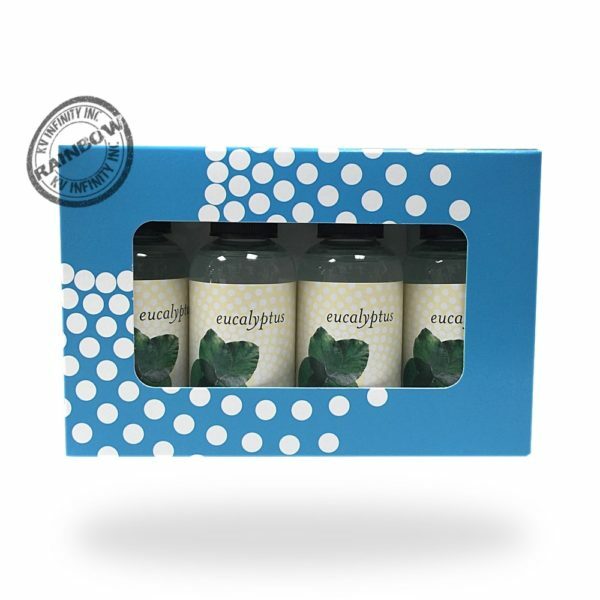 Fragrance Pack Eucalyptus, Pack of 4 bottles 2fl oz / 59ml. Rainbow Fragrances box included. Manufactured by Rexair LLC. made in USA. Fragrance Pack Eucalyptus, Pack of 4 bottles 2fl oz / 59ml. The Original Rainbow Vacuum Eucalyptus oil scents, safe for use in your Rainbow and Rainmate. Use our famous eucalyptus oil to soften the environmental air and help your family breath better, very strong fragrance, just a couple drops can last for hours of a nice eucalyptus tree smell. Add the scent drops into the Rainbow water basin or Rainmate. 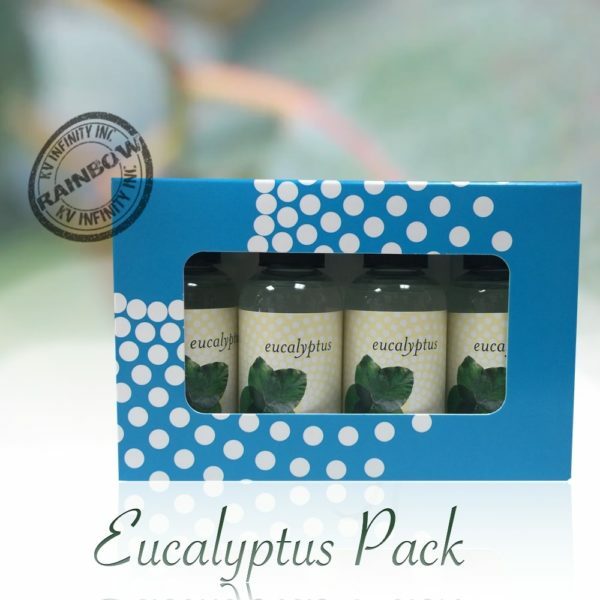 4 eucalyptus bottles 2fl oz / 59ml. My first at buying for my rainbow mate I’d gotten for Christmas…I love this true fragrance…it’s not second rated…it’s number 1! !